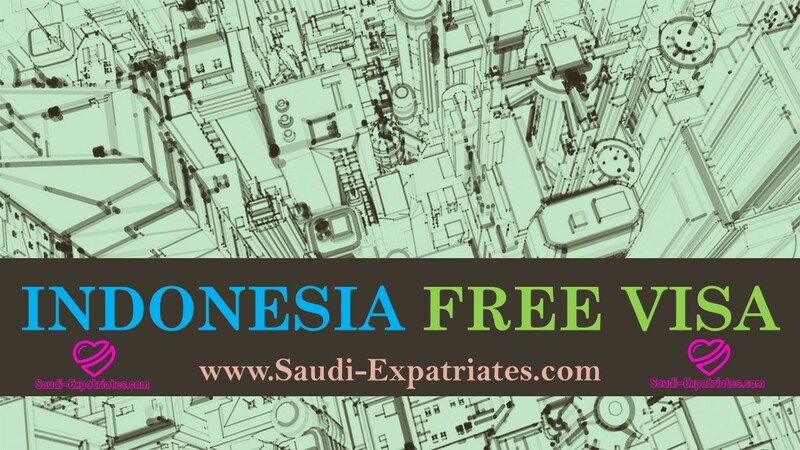 Indonesian Free Visa for the citizens of below mentioned countries including Saudi Arabia for 30 days, Earlier there was a fee of 25$ for Indonesia visitor visa for 63 countries, Now the officials allowed the citizens of 75 countries without any visa fee, As Indonesia is aiming to encourage tourists and visitors for boosting the economy. - Travelers can visit Indonesia for any of the purposes like Business, Education, Tourism, Family realated visits, Transit, etc,. This provision is going to be extended for all the citizens of GCC countries. You can find your country in below Indonesia Visa free travel list, few of attracted countries are Bahrain, Egypt, India, Kuwait, Oman, Qatar, Saudi Arabia, Turkey, United Arab Emirates. - Indonesian free visa wants to promote Islamic tourism as it is one of most populous Muslim country, One of example on this is Lombok Which is well known as "Island of thousand mosques". Indonesia is a largest archipelago nation as it has more than 17000 islands, which is attracting people all over the world. - There was 16% of increment on visitors and tourist arrivals compared to 2.9% last year 2014-2015. This policy is launched to attract the visitors and tourists, It is expected of 10 million visitor this year and 20 million visitors by 2019. Algiers, Angala, Argentina, Austria, Azerbaijan, BAHRAIN, Belgium, Belorussia, Britain, Bulgaria, Canada, China, Craoatia, Cyprus, Czech Republic, Denmark, Dominica, EGYPT, Estonia, Fiji, Finland, France, Germany, Ghana, Greece, Hungary, Iceland, Ireland, INDIA, Italy, Japan, Jordan, Kazkhstan, Kirgizstan, KUWAIT, Latvia, Lebanon, Liechtenstein, Luxemburg, Lithuania, Maldives, Malta, Mexico, Monaco, Netherlands, New Zealand, Norway, OMAN, Portugal, Poland, Panama, Papua New Guinea, QATAR, Romania, Russia, San Marino, SAUDI ARABIA, Seychelles, Slovenia, Slovakia, South Africa, Spain, Suriname, Swiss, Sweden, Taiwan, Tanzania, Timor Leste, Tunisia, TURKEY, UNITED ARAB EMIRATES, USA, Vatican, Venezuela.